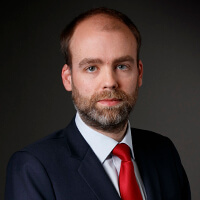 We are delighted to announce partner Ronan Dunne who leads our EU, Competition and State Aid group is the author for the Irish chapter of Vertical Agreements, Getting The Deal Through, 2019. This volume offers expert local insight with answers to crucial questions in key areas such as: antitrust laws applicable to vertical restraints, responsible authorities, sector-specific rules, general exceptions from antitrust law, application of antitrust law to agency agreements, block exemptions or safe harbour, likely assessment of different kinds of restraint, formal notification procedure, investigative powers of the agency, sanctions or remedies, enforcement, consequences of an infringement of antitrust law and private enforcement. Click here to access this publication. Any questions or queries on this topic, please contact Ronan Dunne.